5V5 opens up the game for in-depth tactics. Skills that focus on the bigger picture, such as rotations, positioning, and objective control, are now much more important. 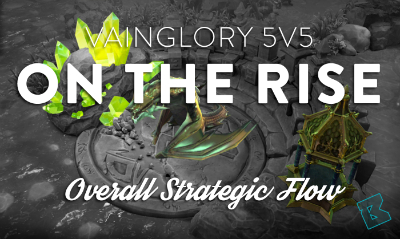 This series focuses on imminent Vainglory 5V5 strategy you should know before playing. As the game progresses on the Sovereign’s Rise map, there is an ebb and flow to where the key locations, fights and objectives are as objectives are taken and strategic space opens up. 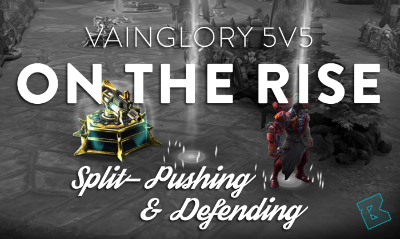 Understanding this dynamic and, in particular, reacting to it appropriately is key to controlling the game — and thus winning matches in Vainglory 5V5. With five heroes on your team, strategic diversity in Vainglory is expanded. Which heroes will prevail depends on gold and experience sources, map objectives, and composition synergy. 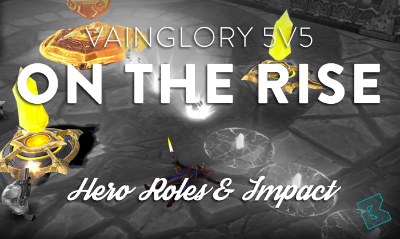 Let’s take a look at Vainglory 5V5 hero roles and which heroes perform best in the new game mode. 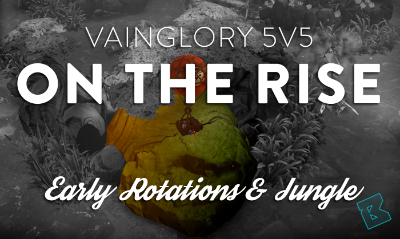 Vainglory 5V5 early game rotations and jungle decisions have the largest impact on the early game. Advantages are gained, expanded, and translated into kills and captured objectives — beginning the snowball that carries you to victory, or preventing the enemy from reaching their goals. 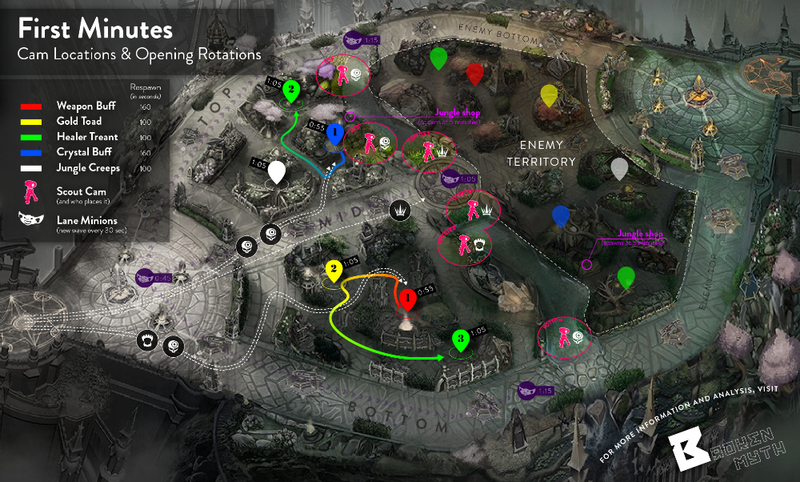 Backdoors, split pushing and other strategies that involve map information flourish in the Vainglory 5V5 mid game. Although the legitimacy of these tactics are debated, the aim of the game is to break the enemy Vain crystal — not to win team fights. If you can win without risky fights, then why not do so? 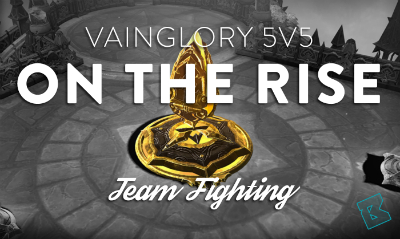 The Vainglory 5V5 late game is all about taking decisive team fights to end out the match. Heroes boasting late game power spikes will be shining, while early game heroes will often be falling off from their reign. So, how should you set up that glorious team fight?